So You Can Hear! But Can You Listen? We hear with our ears, but we listen with our brains. Find out what the difference is, and what you can do to listen better. 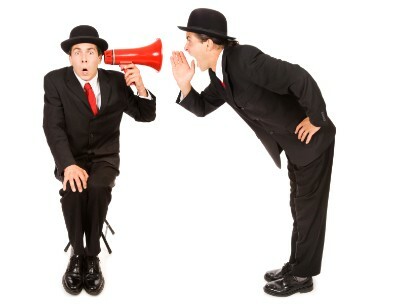 Hearing and listening are often talked about as if they’re the same thing, but they’re not. We all know people who can hear just fine, but they’re terrible listeners, while many people with hearing impairments are great listeners. Hearing is what happens when your inner ear sends sound signals to your brain, making you aware of sounds around you. On the other hand, listening means understanding the sounds around you – it involves comprehension and memory. Listening requires effort, and becomes even more difficult when you have hearing loss. Hearing aids these days are small, light and technologically advanced. They help tremendously in getting sound waves to reach your brain if you have hearing loss. But they don’t help with listening. Listening involves being present in the conversation, understanding what people are saying, and remembering it. Being a good listener is important for people with hearing loss, particularly in loud places. Hearing aids will amplify sounds around you, but they don't eliminate background noise. Practicing listening skills will help you understand what’s being said in a noisy environment, and the more you practice, the more refined this skill will become. These exercises all encourage you to be present in the moment, as you focus directly on what’s being said. Try them all first in quiet settings, then add a little background noise. Turn on a radio, or do the last two exercises in a coffee shop, and help train your brain to listen in different environments.